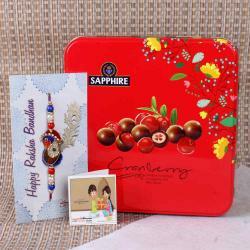 Product Consists: Single Rakhi along with Gulab Jamun (Weight : 1 Kg). 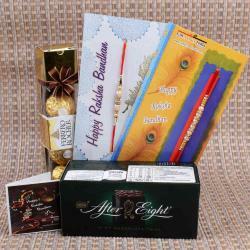 Want to give your darling brother an unforgettable surprise on Raksha Bandhan. 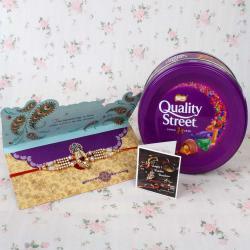 You can opt for this amazing combo which contains a beautiful Rakhi and sweets. This combo is symbolic of unadulterated warmth and affection for your darling brother on Raksha Bandhan and should definitely be a top pick. 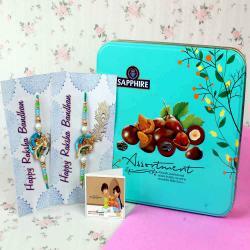 This beautiful Rakhi Combo includes : Single Rakhi along with Gulab Jamun (Weight : 1 Kg).